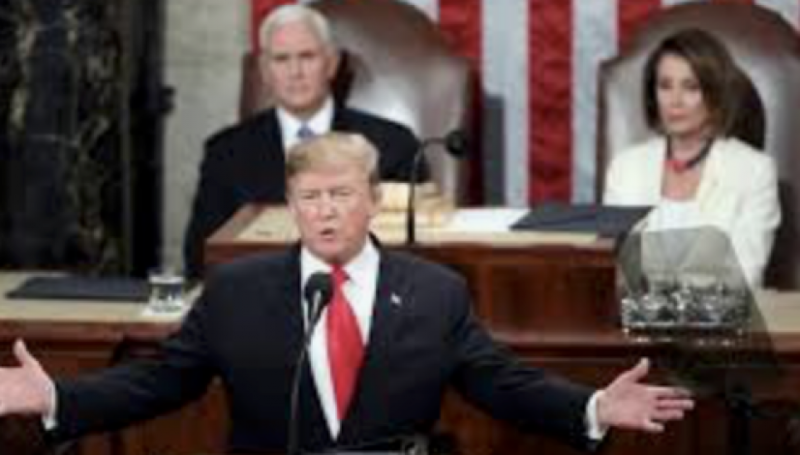 Alas for House Speaker Nancy Pelosi, D-Calif., President Trump got to deliver his State of the Union address after all. And once again, America saw that Trump on the stump is very, very good. The speech Tuesday night was an important way for the president to reboot his standing with the American people. After a contentious several months and an unpopular partial government shutdown that hammered his approval ratings, Trump had a chance to remind the entire country why he was elected in 2016. That he did, with a CBS poll showing that 76 percent of viewers liked what they heard. 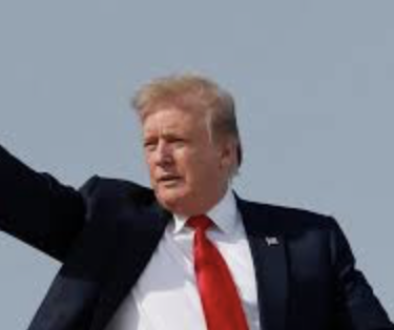 The president appealed at one time or another to everyone in the chamber, reaching across the aisle on numerous occasions to promote popular causes like criminal justice reform, the elimination of childhood cancer or the eradication of AIDS. He framed his speech as a celebration of two great occasions: the 75th anniversary of D-Day that liberated Europe from the Nazis and the 50th anniversary of America’s moon landing. Heroes from both those historic undertakings were in the gallery, personifying the daring and selflessness that has characterized the United States throughout our history. How petty Democrats appeared by comparison. A large number of female lawmakers wore white to celebrate the suffragettes of the past; through most of the speech they sat on their hands. However, Trump broke through their grumpiness by celebrating the record number of women working in the U.S. today and the all-time high number of women in Congress. Even they couldn’t resist celebrating themselves, which they did with high fives and laughter. Trump’s guests in the gallery included veterans from the D-Day landing and a survivor of Nazi concentration camps who was enjoying his 81st birthday. Legislators sang “Happy Birthday” to him, surely a first in a State of the Union. The president hosted a cop who, despite being wounded seven times, subdued the man accused of killing 11 Jews at the Tree of Life Synagogue in Pittsburgh in October. He invited former astronaut Buzz Aldrin, who walked on the moon in 1969 – one of the proudest moments in our country’s history – and a young girl who is a brain cancer survivor. Democrats’ guests included the woman who had accosted then-Sen. Jeff Flake. R-Ariz., in an elevator during the Senate confirmation hearing for now-Supreme Court Justice Brett Kavanaugh. Other Democratic guests included some people in the country illegally who had at one time worked on a Trump property. Sen. Kirsten Gillibrand, D-N.Y., who is seeking her party’s presidential nomination, brought as her guest a transgender man who serves in the Navy. Trump asked Democrats to reject the politics of “revenge, resistance and retribution.” That appeal left Democrats like Alexandria Ocasio-Cortez, D-N.Y., firmly planted in their seats. No surprise there; with the Democratic Party split on everything from “Medicare-for-all” to abortion extremism, that’s all that Democrats have to offer. In fairness, even while calling for a “new era of cooperation” Trump threw some partisan zingers into the mix. He singled out bills recently introduced in Virginia and passed in New York that allow for late-term abortions, and said he would ask Congress to pass legislation banning such procedures. In addition, the president hammered home his determination to secure our “dangerous” border, and the need for a wall. To make the point, he introduced some family members of an elderly couple killed by an illegal immigrant. Democrats were not pleased. The Democrats also pouted as the president listed the economic gains made during his administration. They did not cheer when he said 5.3 million new jobs have been added – including 600,000 manufacturing jobs. Nor did the Democrats cheer when the president cited the all-time low in African-American, Asian-American and Hispanic unemployment and the uptick in the incomes of blue-collar workers. Do Democrats not approve of putting people to work? Trump warned that the only thing that could disrupt the steadily growing economy would be “ridiculous partisan investigations,” politics or endless wars. Needless to say, Democrats did not leap to their feet on that one. “Great nations do not fight endless wars,” the president said. The truth is that Trump is closer to some Democrats on trade and on winding down our engagements in Afghanistan and Syria that he is to some of his own party. 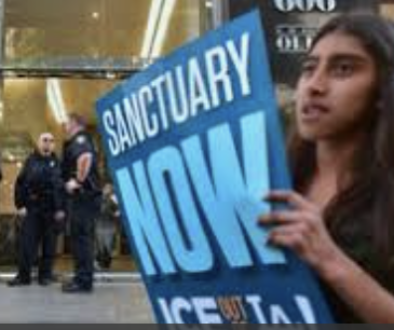 But for sure, the most contentious issue – and the one that continues to hang over the country – is immigration. 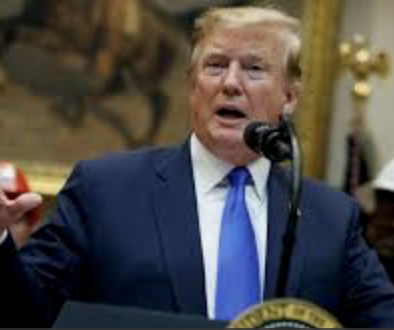 Trump said no other issue better illustrates the divide between the working class and members of the wealthy political class, who hide behind walls while blue-collar workers suffer the lower wages, overburdened schools and depleted safety nets that illegal immigration causes. It will be interesting to see how Democrats answer that charge. Above all, President Trump inspired us to “rekindle the bonds of love and loyalty and memory that link us together as citizens, as neighbors, as patriots.” He vowed, as he has before, to put America’s interests first and, notably, promised that America will never be a socialist country. Even Nancy Pelosi and Chuck Schumer applauded that one.